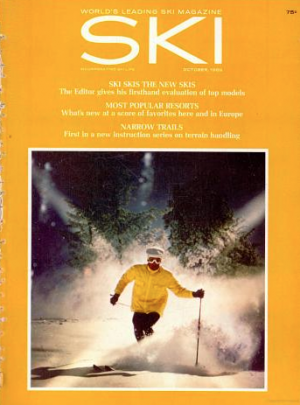 In the early seventies, ski design was in the midst of a revolution that is still going on today. 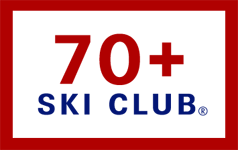 It started in 1959 when Art Molnar and Fred Langendorf marketed the first ski with a fiberglass reinforced core under the Tony Sailer brand. 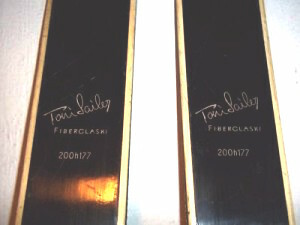 When it came out, skis were made predominantly from wood with a P-Tex bottom and segmented edges screwed into the core. One piece steel edges were coming into vogue. Computers and programs to model flex patterns, torsion (twisting) and the impact of different materials on ski performance were in their infancy. Ski design was (and still is) a mix of sound engineering, materials science, and experience. Ski manufacturers touted the benefits of fiberglass versus aluminum sheets or rods or u-shaped metal versus foam or wood cores and the list went on and on. Ski Magazine’s (and Skiing’s) customer research said that their readers wanted an objective way to compare skis. Net net, we – the skier – were confused. Present the results in an easy to understand format that enables the skier to compare ski A with ski B.
Damping – ability of the ski’s to suppress vibration. How it stable it would be at high speed. Looking back, we didn’t realize how far ahead we were in ski performance analysis. In the beginning, several manufacturers challenged our results, but in the end, they came around to our side of the table which was that the correlation between our lab analysis and on snow performance was amazingly accurate. Marc, thank you for revisiting this subject. I really miss this numbers driven, engineering and design review process. I started skiing in 1970 and was captivated by this approach. Now the…”gosh it feels good…” wine type reviews leave me cold. This current approach shows up in the staff at ski shops, if I start talking about construction, flex pattern/balance, torsion I’m looked at like a grew a new head (an uglier one at that). I did get to be on the design/build side of the industry for a short while at RBL in Boulder (RB Lange’s little ski company in the late ’70s and early ’80s) I loved it while it lasted. OK too many words Rick…thank you again! Right you are. Over a beer, I’d tell you what I really think about the performance descriptions of skis given to us as consumers. 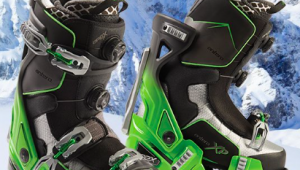 What has really changed over the years is the materials science/engineering and the manufacturing processes both of which, combined with engineering software packages, have revolutionized ski design. While I realize a lot of the magic that comes out of the ski R&D shop is proprietary, I still believe skiers deserve a consistent, data driven approach to the bench test side and how it pertains to on snow performance. Over the past few years, I’ve skied on many different brands and some I brought back after a few runs, others were more enjoyable. The takeaway is this, don’t buy a ski unless you can ski the exact same model from the same year in conditions you normally ski. Could someone please show Hogen this? Floats like a Butterfly Stings like a Bee ???? I agree. What is put out as “data or as “info” on ski performance today drives me nuts. Try asking a ski/rental shop employee for info and you get the same blather. If a manufacturer has demo tent is on the mountain I am skiing, I head for it to try the skis. The sad part is you get the same garbage. It’s sad. When I saw Peter Keelty’s name I had to respond. I’m sure Hogen will see it. It’s different from the way we tested skis. Make a few turns edging deeply at slow speeds, then speed up to make sure it holds well at speed and go get another pair. A good skier knows after a few turns if a ski is right for him, although I suspect that with today’s skis there are many that will suit most of us after a day or two to find the sweet spot. Here is the east it should say Race. Yesterday was all packed powder at Sunday River. I agree that today’s skis are much better than what was on the market in the 70s. And yes, a good skier can tell the difference and know if a ski works for him/her after a run or two. Two questions, one is the skier adapting technique to the ski? Two, does the recreational skier ski enough skis to know the difference between one brand or another? Rossignals ski differently than Dynastars, Atomics feel different than Volkl or Blizzard, etc. etc.